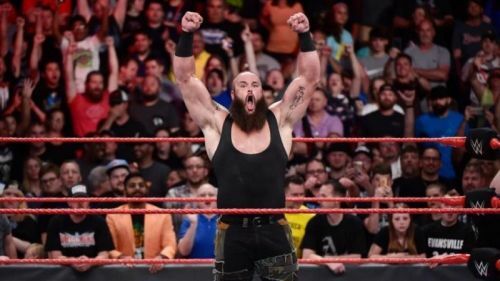 WWE Superstar, Braun Strowman, recently took to Instagram to give an update on his body transformation. Strowman stated that he never imagined that he would be disciplined enough to lose weight to such an extent. Braun Strowman is hands down the largest athlete in WWE at the moment. He came in as a member of The Wyatt Family and was heavily pushed as a monster on the Raw brand. Strowman won the 6th Annual Andre The Giant Memorial Battle Royal at WrestleMania 35 last week. The Monster Among Men is known for having an incredible physique despite his huge form. Strowman occasionally updates his fans on his weight loss journey and has been working hard to keep his weight in check. Recently, Strowman posted a photo of himself on the photo-sharing app, Instagram. He looks in incredible shape at the moment, but this didn't come easy for the Raw Superstar. Strowman wrote that he's still amazed at what he has been able to accomplish with his body, adding that he had never imagined that he would be disciplined enough to cut down his body fat to the point where it is now. Strowman finished off the caption by stating that he loved every bit of his weight loss journey, but now it's time for him to bulk up. After winning the Andre The Giant Memorial Battle Royal at The Grandest Stage Of Them All, Strowman was seen on SmackDown Live. Could we see The Monster Among Men get drafted to SmackDown Live next week? A brand switch could do wonders for the giant, as his Monday Night Raw run left a lot to be desired. What are your thoughts on Strowman's incredible weight loss journey?